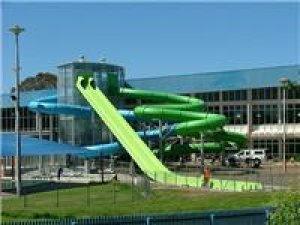 Waterworld is one of the largest indoor/outdoor aquatic centres in New Zealand comprising of two 50m pools, one 25m pool, a toddlers pool and a separate dive pool indoors. Additionally we have a 50m lido pool outdoors, all situated on park-like surroundings. As well as the swimming pools there are two hydroslides, three private spa pools, a mini-golf course, a beach volleyball court, BBQ area, video games, sunbeds and a children's playground. This page is current to 19 Apr 2019, 02:16:19 PM and took 0.14 secs to generate.